The Centre for Health Services Research at the School of Health Sciences, City, University of London welcomes Dr Charitini Stavropoulou from the Division of Health Services Research as part of the research seminar series. : We explore the link between extremely highly cited papers and public and charitable health research funding in the UK. Methods: We define extremely highly cited research as peer-reviewed papers that have received more than 1000 citations in the last decade. We search Scopus for the main authors of these papers and focus on those based in a UK institution at the time of publication. We explore whether these authors have held a grant as principal investigators from the country’s main funding bodies; the National Institute for Health Research, the Medical Research Council and the Wellcome Trust. We compare the results with UK-based researchers who serve on the boards of these bodies. Results: We identified 333 papers relevant to medical, biomedical, life and health sciences with more than 1000 citations each that have at least one UK-based author between January 2006 and February 2018. This created a list of 223 individuals from a UK institution, who were either first/last or single authors of these papers. Our results show that less than half of these authors, who were eligible to apply for a grant, have led a project as PIs from a major funder since 2006. This is in contrast with the group of individuals who act as members of board of these bodies. Discussion and conclusions: Though there are many reasons why the majority of some of the most influential UK authors internationally do not hold a grant from the country’s major public and charitable funding bodies, the result requires further exploration. Our findings confirm similar patterns shown in the US. The paper discusses possible implications and suggests ways forward. 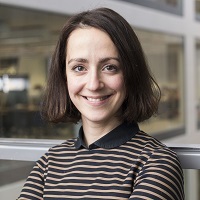 Dr Charitini Stavropoulou joined City, University of London in September 2014 as a Senior Lecturer in Health Management, in the School of Health Sciences. Prior to joining City Charitini has held teaching and research positions at the University of Surrey and Imperial College Business School. She has an MSc in Operational Research from the University of Edinburgh and a PhD in Health Policy from the London School of Economics. Charitini works in the area of health economics with applications to health services research both in the UK and in other European countries. Her specific research interests focus on the physician-patient relationship and the impact this has on patients' decisions to adhere to medical recommendations, follow a healthier life style and get involved with their own safety. She is also interested in the effect of financial crisis on health care systems and individual behaviours. Her current research agenda explores issues around the value of funded health and medical research.